We all know how crucial music can be to complimenting your video, indeed without the soundtrack a large chunk of the emotional depth can disappear. Music plays such an important part in the video making process. It can reduce your audience to tears, it can make them smile or jubilant or tense or nervous. 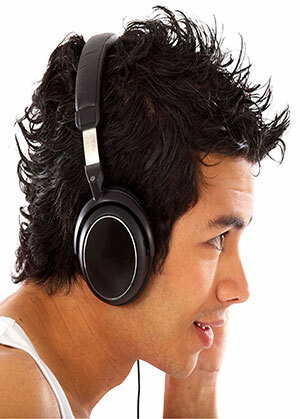 The whole range of emotions can be reflected in the choice of music for video. The choice will depend largely on the message you wish to convey in your scene. However, be careful you don't wallpaper your video production with incidental music because the silence you leave can be just as powerful and effective. The lazy videomaker will be inclinned to select a track of royalty free music based on length, hoping that the music can cover the images from start to finish. For the best results and most stunning way to use music ask yourself the question ' what is the music saying in this scene?'. If it's to cover up some noisy sound recordings it may not be the best use of the music and will make your production a bit flat and lacking in true dynamics. The world of cinema is full of great examples where music has been used in a minimal way. Remember the car chase scene in Bullitt with Steve McQueen. The composer of that film Lalo Schifrin refused to score music for the sequence insisting that the sound of screeching tyres and gear changes was far more effective. He was proved right. How about the opening sequence to Sergio Leone's Once Upon A Time in The West, as 3 unsavoury gunslingers wait for the arrival of the train carrying our hero Charles Bronson. The tension is unbearable, the scene is long without any dialogue or music. It relies on Leone's trademark facial close-ups and sparse use of natural sound effects. The creaking watermill, the buzzing fly around Jack Elam's face, the water dripping and the annoying sound of the telegraph. However what is most powerful is the silence. The whole scene is brilliant and the music does not appear until you hear the sound of the harmonica, the name of Charles Bronson's character. It's a perfect example of the use of sound and music to grip your audience from start to finish and is far more effective. So don't overuse music in your video, be brave and consider the power of silence, it can sometimes speak louder. Next time you think music, think why it's needed and what is it's purpose.